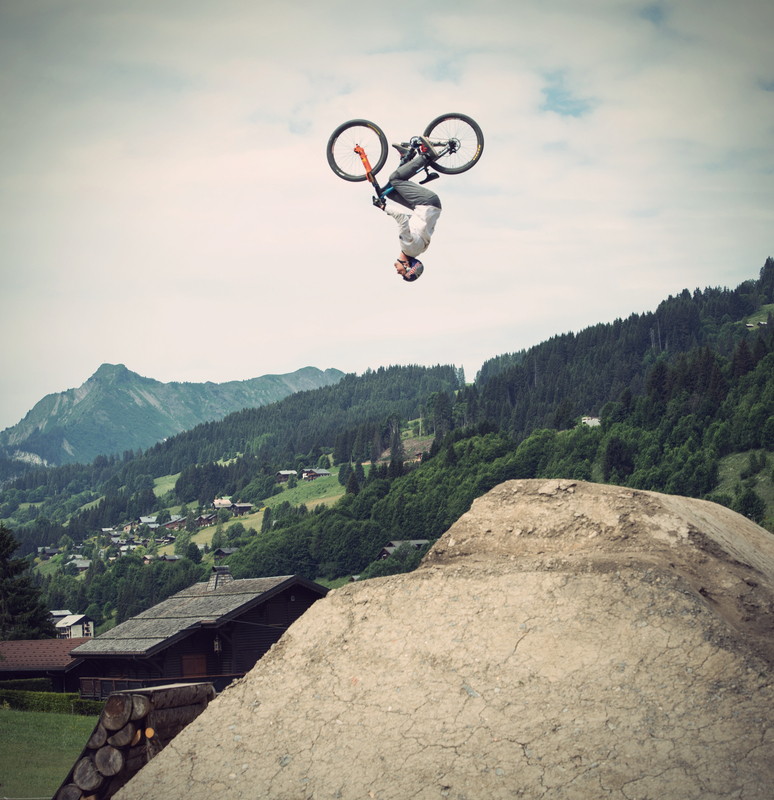 After Innsbruck the Crankworx tour stop in Les Gets was next. 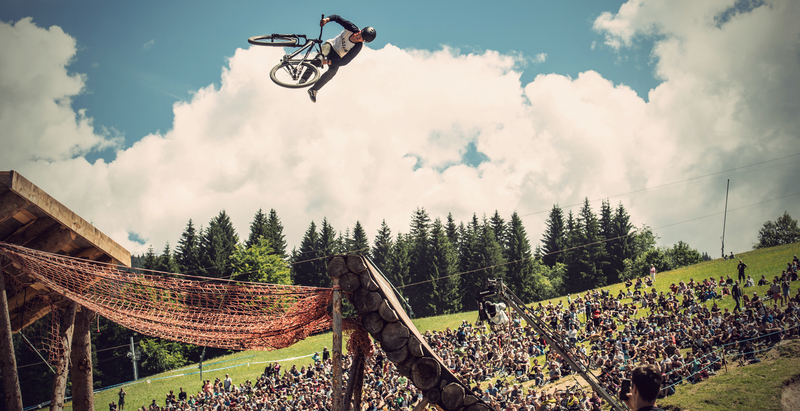 French crowds came out in their thousands to enjoy the racing, with an array of big name mountain bike personalities competing across multiple disciplines. 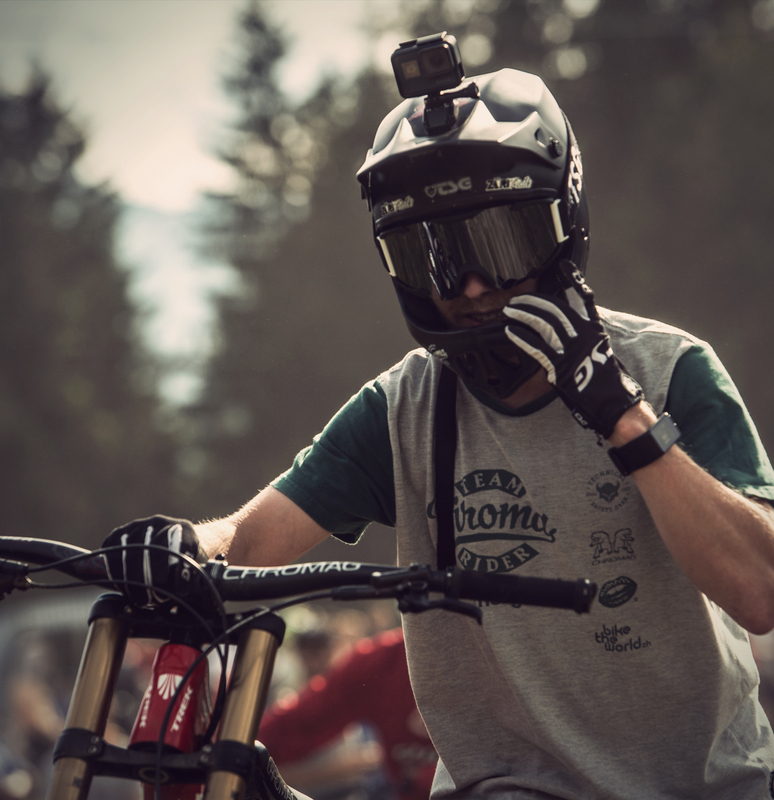 Photographer and Biroma team manager Dominik Bosshard was on location for us to captured the performances of the TSG team riders. 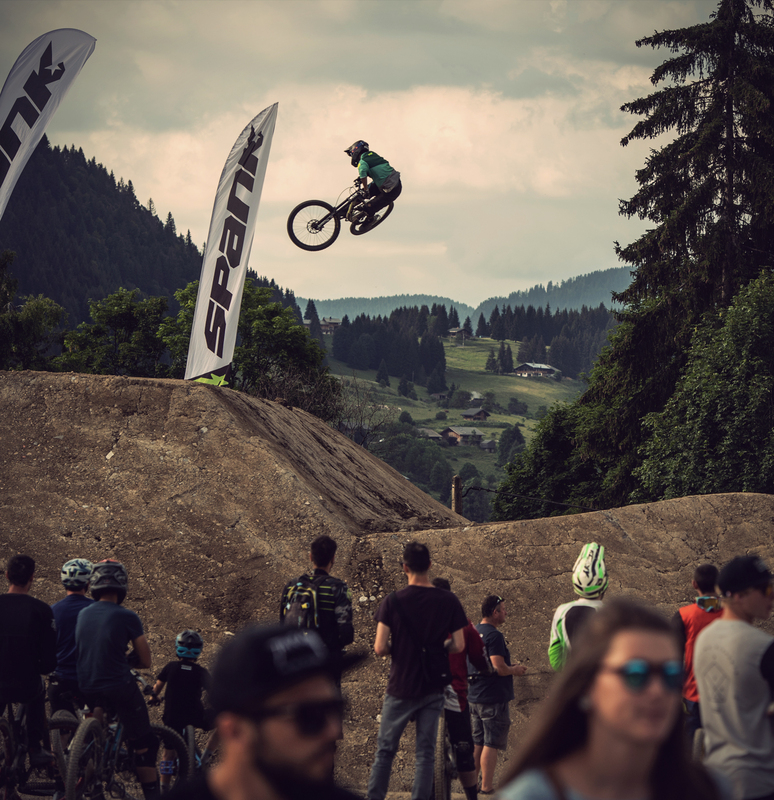 For the third time, the best mountain bikers from all over the world gathered in Les Gets to compete in a total of seven mountain bike disciplines. A challenge for the athletes and also for me as a photographer to be present at every event at the right time. Seven races and contests in 5 days! 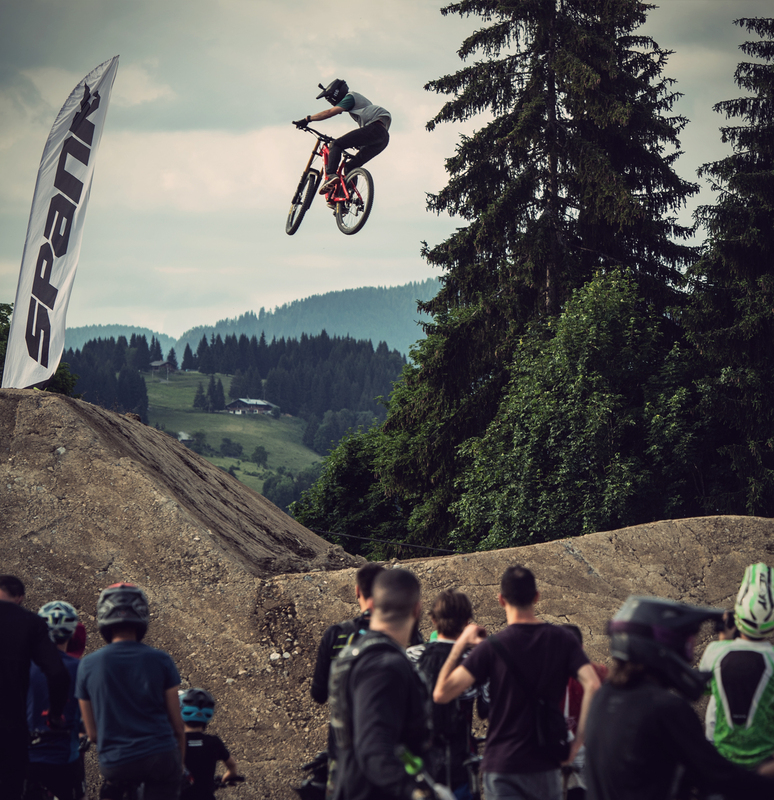 On Wednesday evening the action kicked off with the 100% Dual Slalom race. 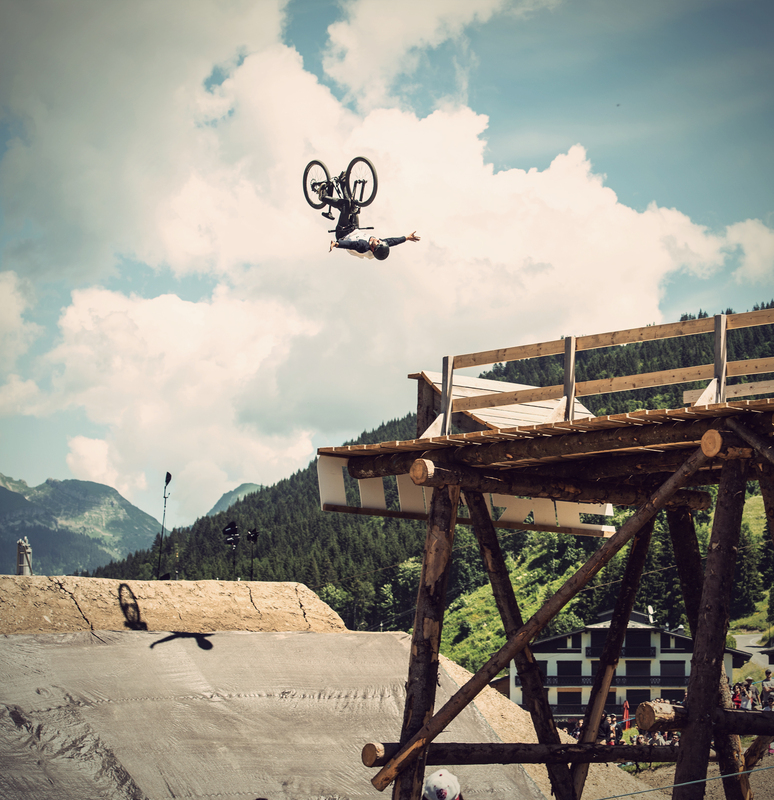 TSG riders Dominik Widmer (SUI) and Benedikt Last (GER) took part. The organizers struggled with organizational problems and when they started to rebuild the course during the race, it was tough following exactly what was going on. After discussions with the athletes about the new course, everyone had one more run before the finals were postponed to Friday evening. 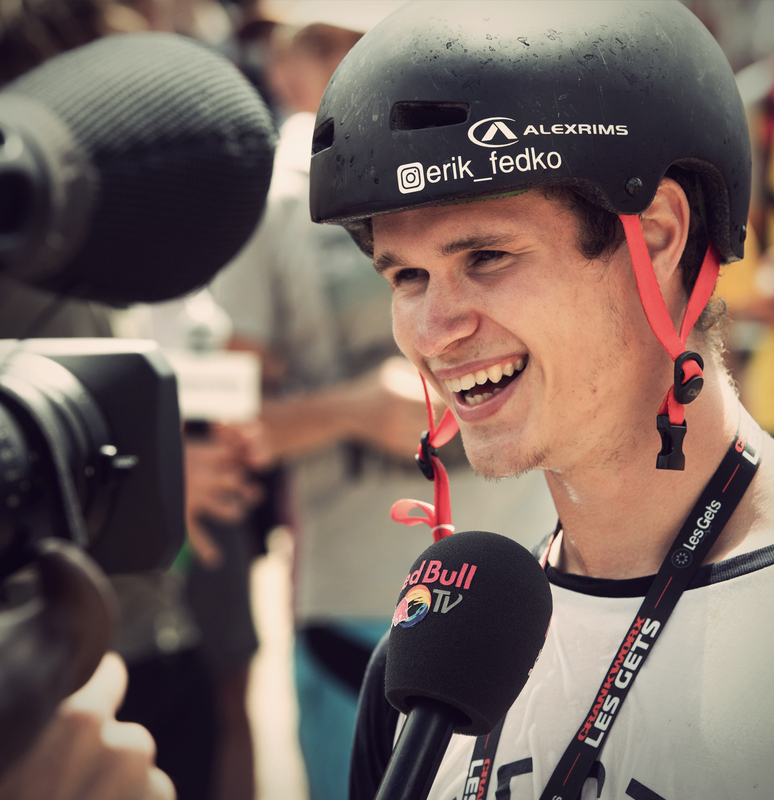 Unfortunately, Dominik Widmer of the TSG Biroma Team did not qualify for the finals. It was certainly also because he had not chosen the right bike for this course. 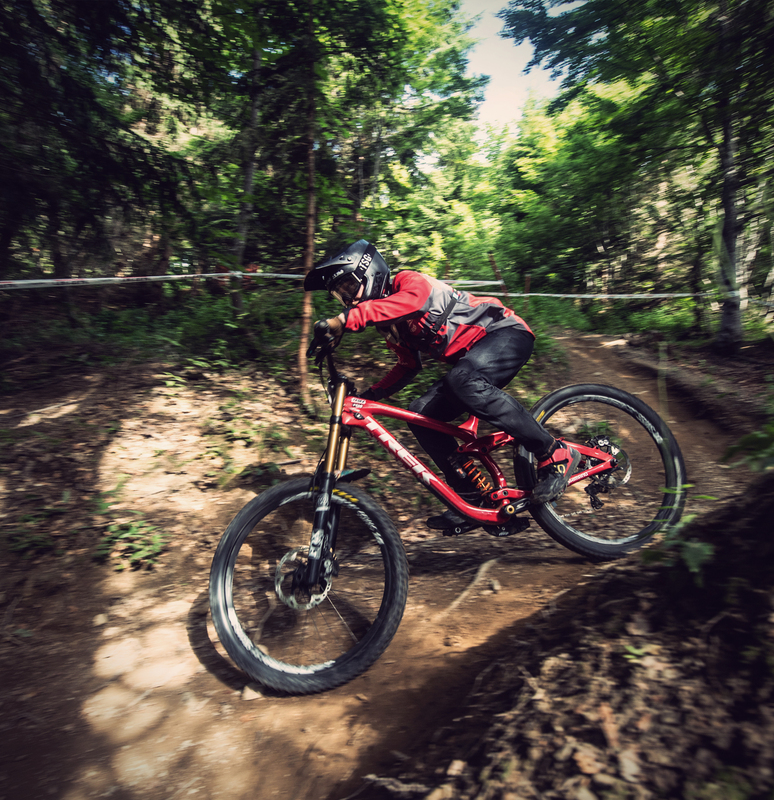 Everyone was riding enduro bikes or fullis, while Dominik desperately tried to build up speed on the rough track with his dirt bike. 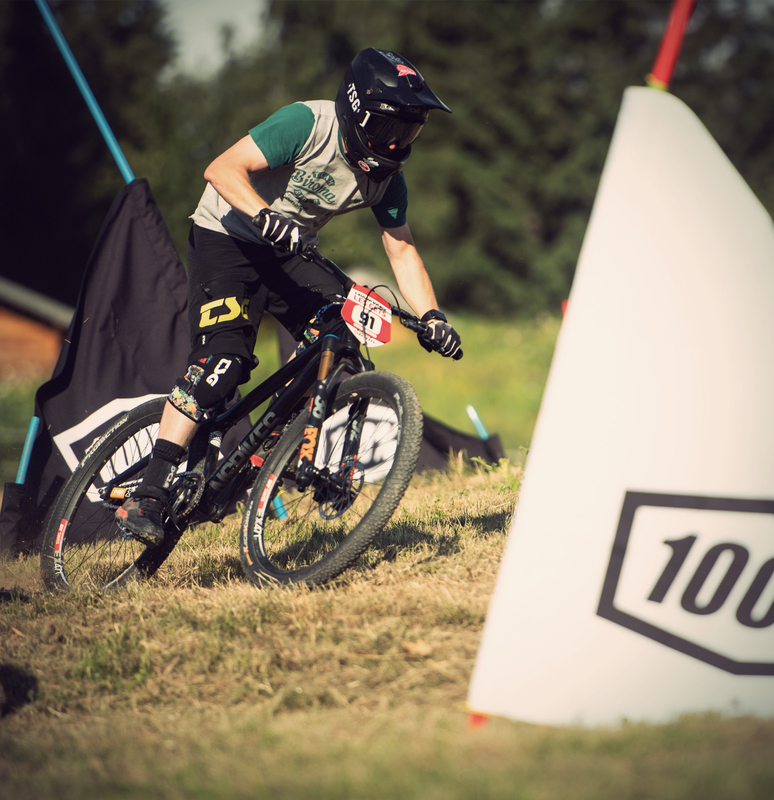 Fourcrosser Benedikt Last had less trouble on his hardtail and qualified 25th for the final. On Friday evening he had to race against Sam Dale and unfortunately couldn’t take the win. The audience loves whip-offs. 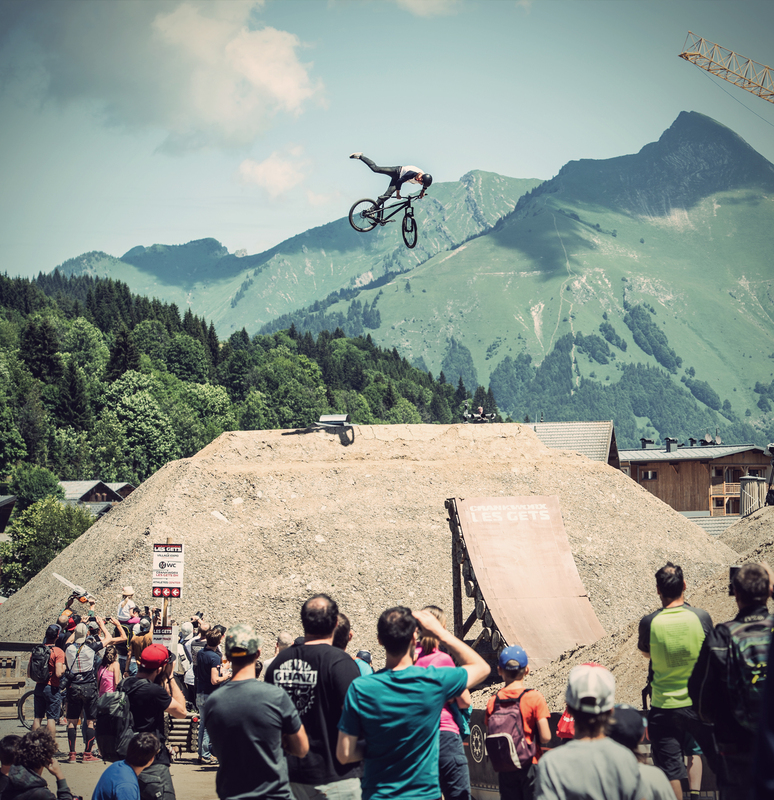 In Les Gets the official European Whip-Off Championships took place. 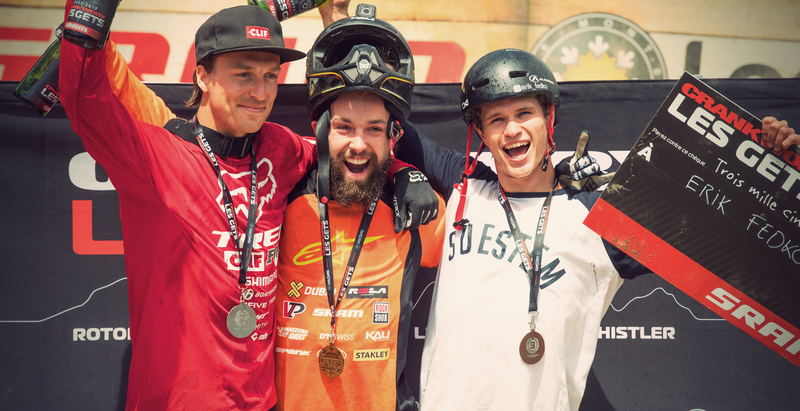 TSG team riders Amir Kabbani and Dominik Widmer participated. Pictures tell more than words here, so enjoy the photos. 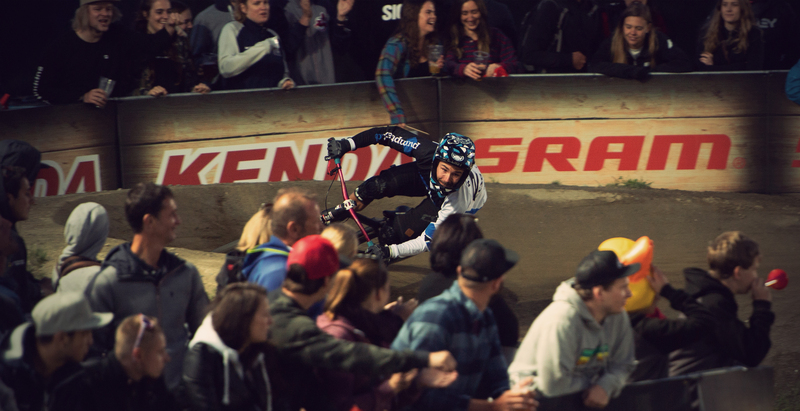 Almost simultaneously to the Whip Off the Pumptrack Race took place with Benedict Last who finished the race among the top 8. 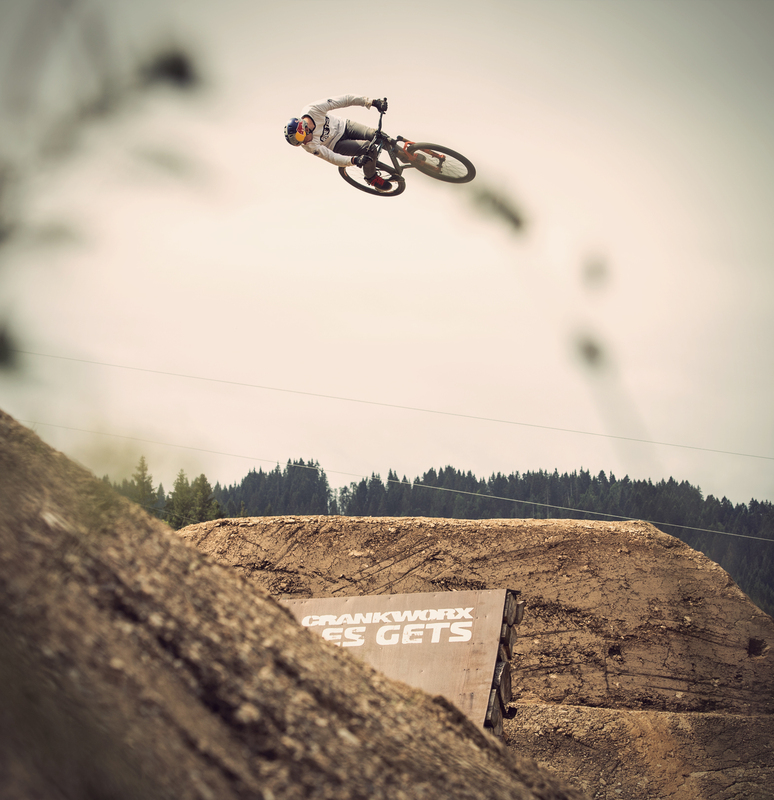 On Saturday the downhill was on the schedule. 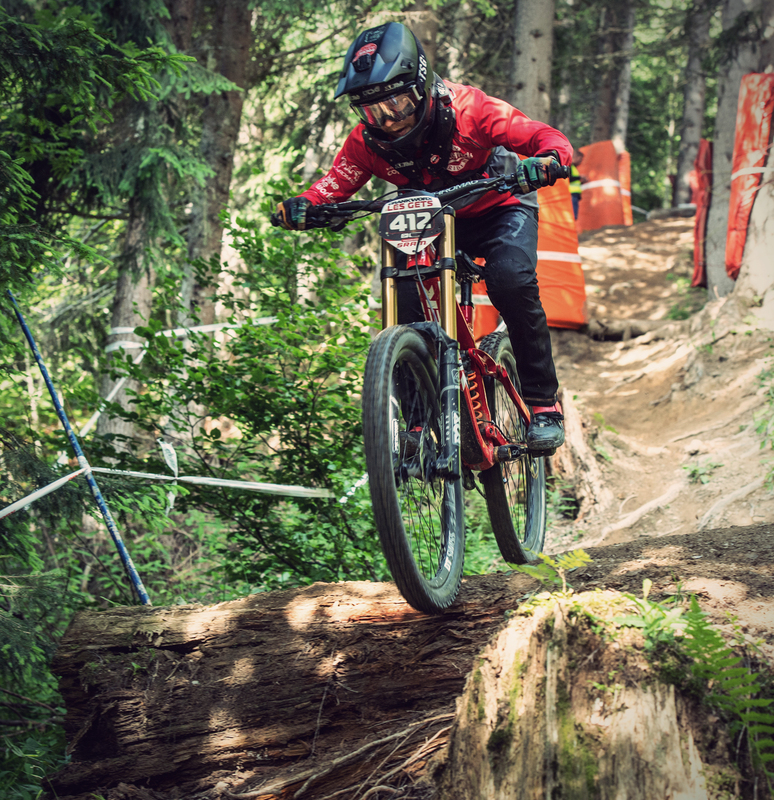 The high speed track of Les Gets is very popular, which is why very famous Worldcup riders also started. Right in the middle was Dominik Widmer. He had some trouble judging how fast the track could be ridden without falling. In the end, he complained that he was too much on the brakes. He finished the race on 99th place. With a time of 3:25:03 only 25.88 seconds slower than the Australian Troy Brosnan who took the win. 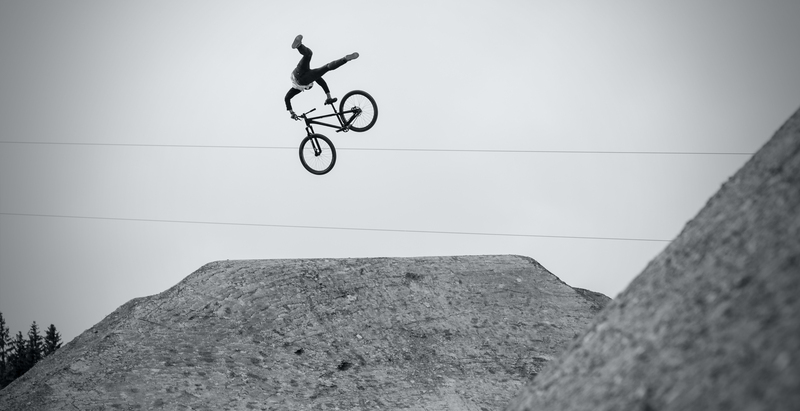 The highlight of the Crankworx series is of course the slopestyle contest. Due to the strong wind the contest was brought forward to Sunday 12:00 o’clock. That meant getting up early for everyone! On the starting list were again TSGs Erik Fedko and Matt Jones. Due to the crash in Innsbruck, Erik had to struggle the whole week with his hand, which might be partially fractured. But you wouldn’t even have noticed it when you didn’t know. He was one of the riders who got along best with the course right from the start. He delivered a sensational 1st run and was leading for a long time until Nicolin Rogatkin and Brett Rheeder surpassed him. Matt Jones also showed a solid run and finished with a very good 7th place. 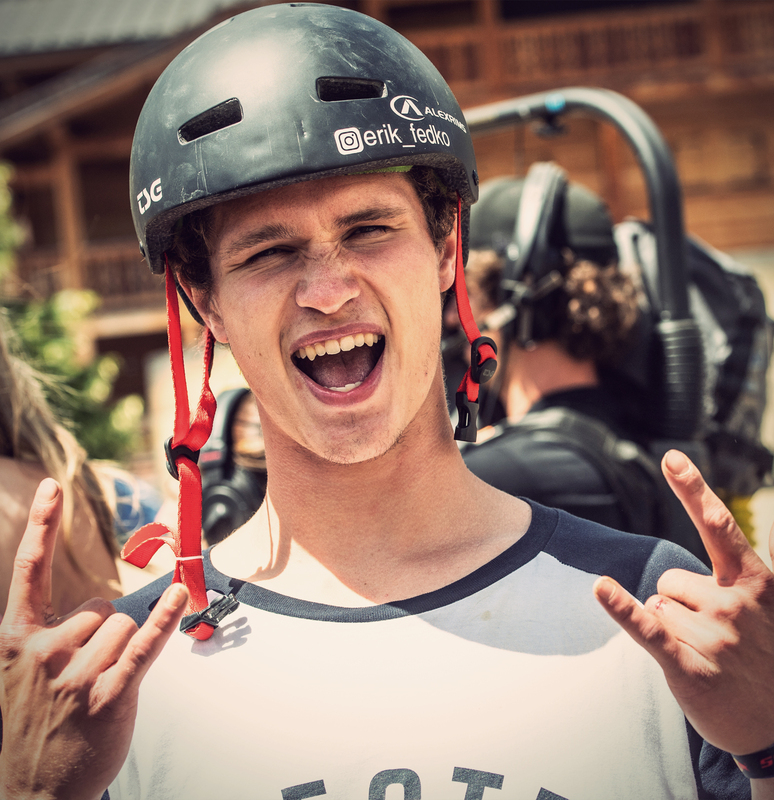 “I am proud that I finally finished two solid runs on two Crankworx events. 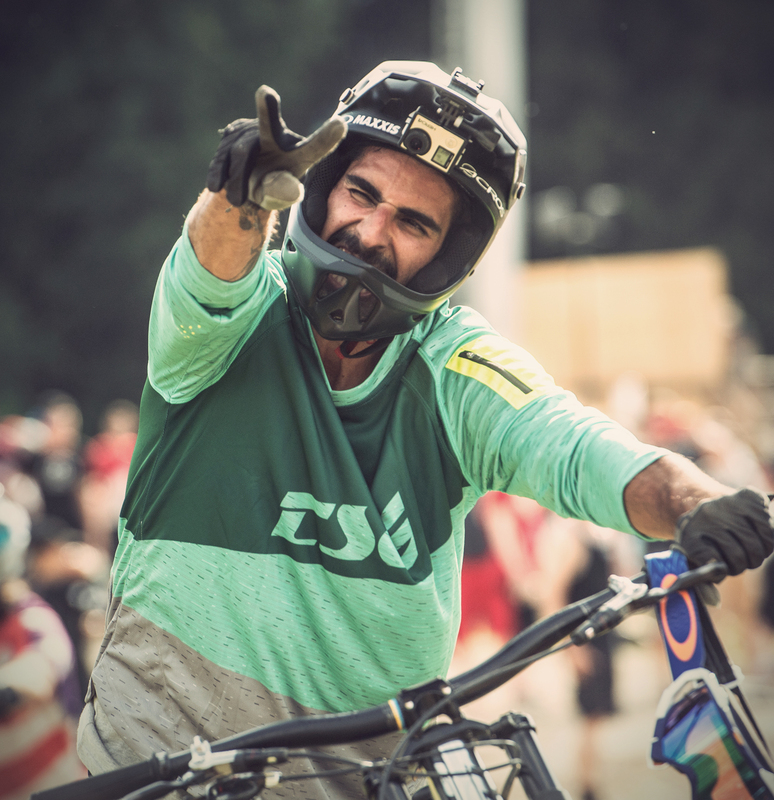 In the last few years I have been followed by a lot of bad luck at the Crankworx Stops, so I am happy to go home with these two amazing results. People can’t imagine how difficult it is to have a run like this from top to bottom at such an event with so many jumps,” states Matt Jones. 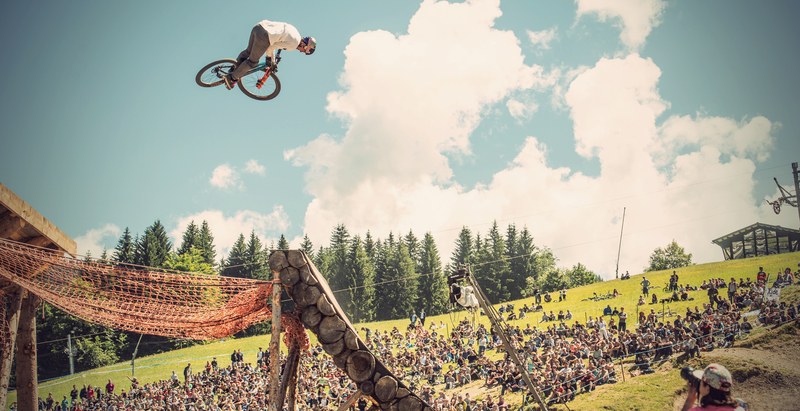 Fedko started his season with an 11th place finish in Rotorua, pushing up to fifth in Innsbruck, and now took his first Crankworx podium. 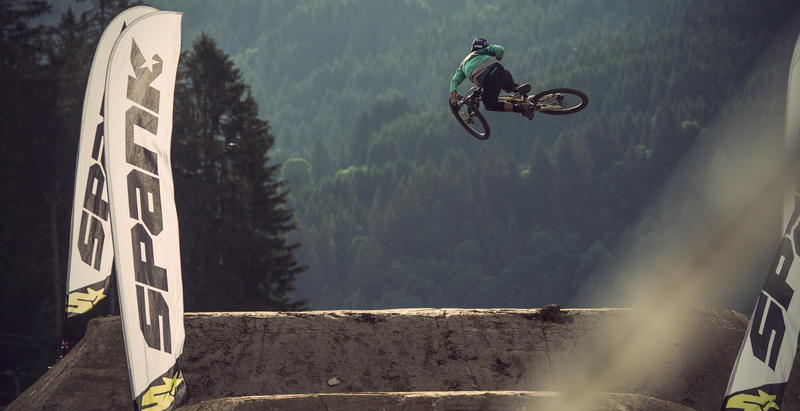 Click here for full result lists of all Crankworx Les Gets contests.